Our client and his wife went to Costco to burn some time before going to a late afternoon movie in the theaters across the street from Costco. They were passing through the electronics section when for no apparent reason, our client’s wife suddenly grabbed six $100 television/VCR remote controls off the shelf. She turned to him and said, “put these in your jacket and zip it up.” She handed our client three remote controls. Our client, confused at his wife’s sudden order and intent to steal, obeyed, but with hesitation. In a Nutshell: Rancho Cucamonga, P.C. 487(A) grand theft and P.C. 459 second degree commercial burglary reduced to disturbing the peace P.C. 415. A Costco Loss Prevention Officer on foot walking around the store observed the activity. Our client’s wife then took the other three and put them in her large purse. It happened quite fast. The husband was confused, but went along with his wife. The couple then walked through the check out without paying. A Loss Prevention Officer approached them, asking them to stop and return the merchandise. The wife heard the officer, but refused to stop walking. She simply ignored the officer and kept walking out the store. Our client, confused, kept urging his wife to stop, but she would not, later explaining that she feared a strip search as she had seen on television recently. The two walked across the large Costco parking lot, then crossed a four lane street and proceeded into the movie theater they intended to go to earlier, all the while with Loss Prevention following on foot with some curiosity and calling on their walkie talkie back to the loss prevention office. Loss prevention was hesitant to use force to stop the woman, as they sensed she was on drugs and might respond in a violent or emotional manner. Finally, once in the movie theater, the wife became aware that she was being pursued and walked down some stairs, which she tripped upon and fell down. She broke her ankle from the fall, but kept walking with a limp. Loss prevention then stopped her, which made her hysterical. Our client was dumbfounded at his wife’s conduct, repeatedly apologizing to the police. Yet he, too, was arrested and charged with two misdemeanors (petty theft, Penal Code § 484(a), and conspiracy, Penal Code § 182) in the Rancho Cucamonga Superior Court. Our client then retained Greg Hill & Associates to represent both him and his wife (they each signed a consent to multiple party representation and conflict waiver). Greg listened to both the client and his wife describe what happened and the family stress that the wife had been recently experiencing with several deaths on her side of the family. At first, Greg contacted Costco’s Loss Prevention Department and tried to work out a civil compromise, which would allow dismissal of the case. This was difficult, but after many tries, Greg was finally able to get the necessary declaration from Costco. 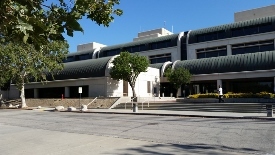 Yet the District Attorney refused to cooperate in such a disposition, vowing that “Rancho Cucamonga does not allow civil compromises.” Greg then assembled a Defense Position Letter, with multiple awards and letters of recommendation from our client’s employer, who he had been with over 22 years. Greg then drafted a Motion for Civil Compromise and gave it to the District Attorney, begging her to stipulate to any disposition other than one involving a crime of dishonesty for our client. 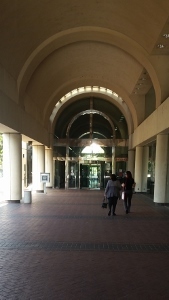 The District Attorney had to discuss the case with her supervisor and it took four or five trips by Greg out to the Rancho Cucamonga Superior Court for many pre-trial conferences to persuade the District Attorney that such a disposition, i.e. for trespassing or disturbing the peace, fit. After all, he was essentially forced to comply with his wife’s odd behavior against his will. In the end, the District Attorney did allow a plea to misdemeanor disturbing the peace, which she said was highly unusual in Rancho Cucamonga for a shoplifting case. Our client was happy, too, as his security clearance was apparently not in jeopardy with such a result.